The characteristic feature of the building of the Janáček Cultural Centre is duality; a linking of two structures in one building. One part is enclosed and fully given over to music while the second is transparent and open to people. This is how Tomasz Konior, general designer of the team that has worked on the design of the building since January this year with the acoustician Yasuhisa Toyota and architect Petr Hrůša, talks about the project for a new concert hall for Brno. They presented the results of their work today. The new concert “Hall for Brno” is one of the city's strategic projects. “Brno won the title "City of Music" at the end of last year and joined the UNESCO Creative Cities Network. I'm glad we're getting close to paying off the debt I feel comes with this title, and that means building the as yet missing top level concert hall. The musical and cultural credit of our city will thereby increase again, and I believe it will attract visitors from a broad neighbouring area. We will direct everything to ensuring the hall is completed in 2022 and concerts can begin in 2023. Also important of course will be the tendering for building companies,” stated Mayor of the Statutory City of Brno, Petr Vokřál. The design team, which signed the contract with the city on January 15 this year, briefed today’s audience in Brno on its vision of the Janáček Cultural Centre and presented visualisations of the project design. “The proposed concept is the result of several months of intensive work of the design team and a number of working meetings. I am pleased that the Chief Conductor of the Brno Philharmonic, Dennis Russell Davies, also intervened in this creative process, as he has experience with concert halls all over the world, and recently attended the opening of a new opera house in Linz, Austria. 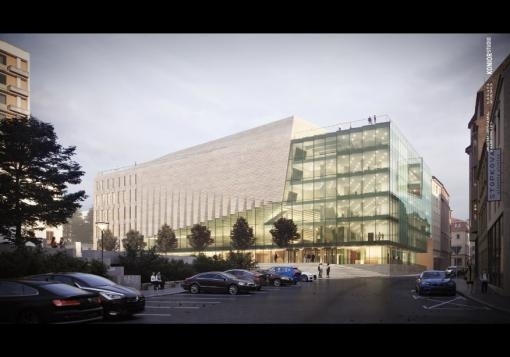 What now is rising in Brno is a completely unique building that stems from the spirit of the city; I hope the orchestra and all Brno’s people will take it as their own,” stated the Brno Philharmonic Director, Marie Kučerová. “We have made another important step forward in the construction of a new concert hall, which, as I am now firmly convinced, will soon be erected in Brno. I am happy to see that my hometown will actually enjoy a top cultural venue, which together with the title "UNESCO City of Music" will raise it to the ranks of the European musical metropolises,” commented the patroness of the Hall for Brno, the mezzosoprano Magdalena Kožená. According to the general designer Tomasz Konior, aside from the already-mentioned duality, another characteristic trait of the building is its multilayeredness, allowing comfortable movement among the floors and consistent shaping of the structure of the building. “The key issue, of course, is the heart of the whole building – the concert hall. We designed it for approximately 1300 listeners, and the big stage provides almost unlimited options for the orchestra line-up, ranging from solo recitals and chamber concerts, through numerous large symphonic arrangements, to compositions where a choir is also engaged”, emphasised Tomasz Konior. Now the first stage of its work has been completed – the concept. It will continue to evolve according to, for example, planning limitations or legal requirements that will determine the final shape of the house. “I admit that the plot of land available in Brno was a challenge for us, as it is relatively small. However, we always try to turn constraints into benefits and let ourselves be guided mainly by our experience and proven practices,” Konior remarked, stating also that his goal was the designing of buildings that match the spirit of the times without having to be original at any cost, while at the same time not being burdened by the complexes of the past. The title Hall for Brno (the working name for the Janáček Cultural Centre) hides in itself a project for the construction of a new concert hall in the vacant lot between Besední and Veselá Streets, in the immediate vicinity of the Besední dům concert house. It will become home to the Brno Philharmonic, whose more than a hundred-year-old ensemble nowadays plays and rehearses in inadequate conditions. The complete orchestra line-up will not even fit onto the stage of the Besední dům where the Philharmonic is currently housed. And the Janáček Theatre, where the Philharmonic often gives concerts and which moreover is closed now, does not have satisfactory acoustic conditions. Hence, audiences do not know what the Brno Philharmonic really sounds like. The hall is supposed to be the most modern building of its kind in the Czech Republic. It offers a capacity of around 1300 listeners and acoustics to world parameters. At present, the shell construction of the first stage – underground garages for nearly 200 cars – has been completed. The garages will open after the completion of the whole structure above ground. 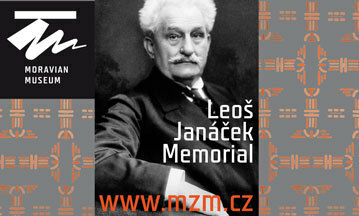 “Thanks to the Janáček Cultural Centre, Brno’s people will have the opportunity to hear Janáček's symphonic compositions in truly top quality for the first time in history. In addition, the Brno Philharmonic will not have to be squeezed into inadequate rooms, but it will get the full-fledged service background that this music body of world format truly deserves,” added Deputy Mayor for Culture, Matěj Hollan.